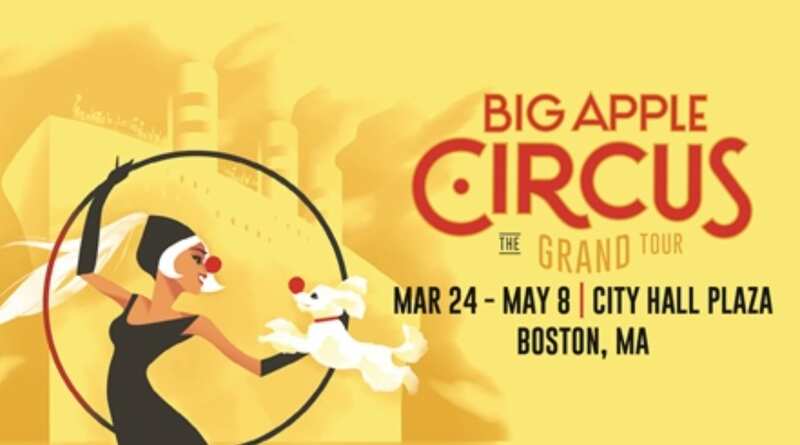 The Big Apple Circus’ The Grand Tour hits Boston City Hall March 24, 2016 to May 8, 2016 and below are some promo codes for discount tickets as well as other cheap ticket options to the circus! My favorite thing about the Big Apple Circus online ticketing site (warning: link has sound, my least fav thing!) is the ability to put in multiple promo codes at once. I picked a date and then put in every promo code I could find and then selected the lowest price ticket. Look for the yellow star next to the ticket price to see what promo codes are working. Not every promo code will work for every date or seat, but hopefully you will find one that will work. If a promo code isn’t valid, you receive a message letting you know so check your spelling if so. All the promo codes mentioned below worked for me. Here are some promo codes to use, and you can enter them all in at once and then figure out the best price! Some promo codes may have limited availability or conditions but hopefully you will find a great deal. Children under 3 are free on the lap of a paid adult with one free lap child per adult. If you can’t find any promo codes that work or you’d rather skip that process altogether, you may want to check Goldstar Boston for discount tickets. Discount tickets for The Big Apple Circus’ The Grand Tour start at $10 with different date and ticket availability! Also, don’t forget to check LivingSocial and Groupon as last time I checked they also had discount tickets available for the 2016 Circus in Boston if you’d rather do a daily deal! For more information about the Big Apple Circus, please head here (again–link will play music). If you find any active promo codes that I don’t have on the list, please leave them in the comments! Hope you have fun if you do go to the circus this year! Note: This post does contain some affiliate links. Please see my disclosure policy if you have any questions.